When values-aligned companies get together on projects, really good things happen. 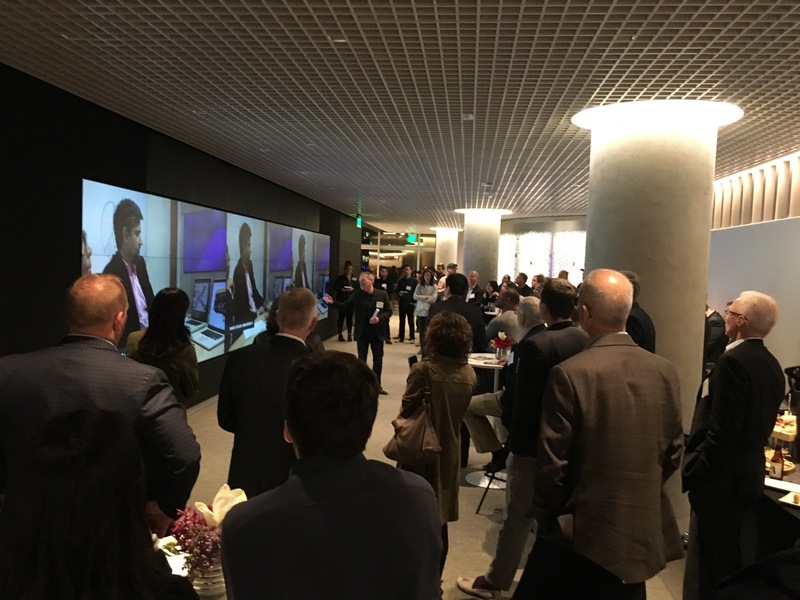 A case in point: the reception we hosted for Bay Area executives at IBM Watson West, alongside a discussion about digital transformation in the cognitive era. Inhi Cho Suh, General Manager of Watson Customer Engagement at IBM, briefed guests about how the Watson Experience Center enables deep engagement with customers on their cognitive and digital transformation journey, and how IBM partnered with Oblong Industries to deliver that experience. 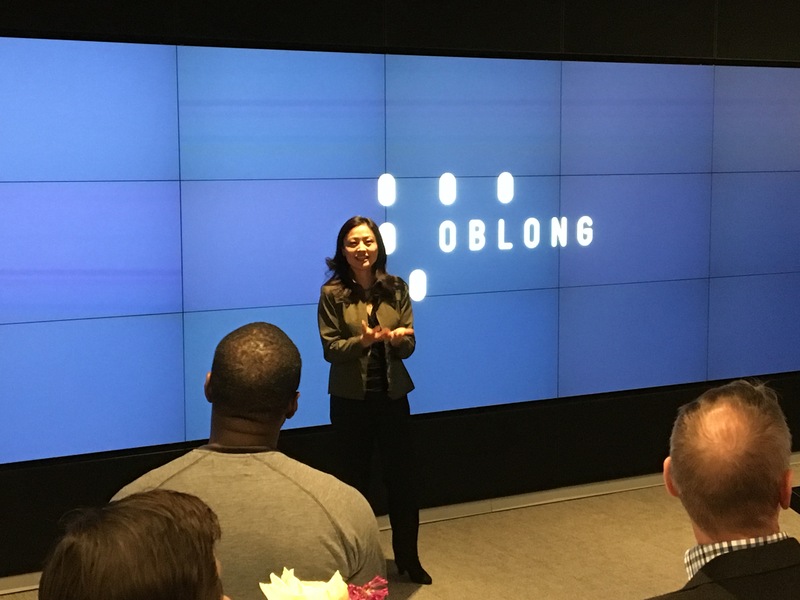 Oblong CEO John Underkoffler followed her remarks, and spoke about a shared vision for a better computing future. The synchronicity of the two firms was clear at the event. 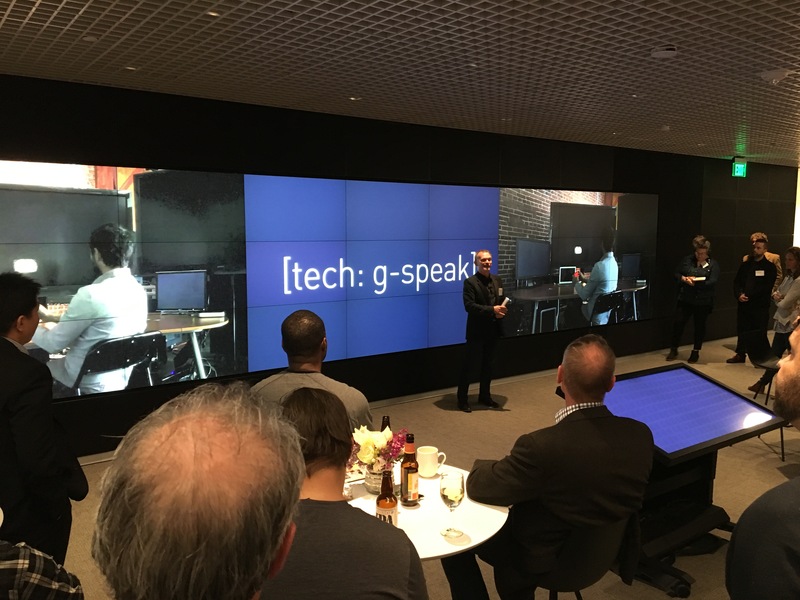 Guests were able to peek behind-the-scenes in the IBM Watson West Experience Center to explore multiple examples of Oblong’s core technology, Our technology helps visitors understand the value and the power of cognitive business applications powered by Watson. Examples of this come in the form of a giant interactive wall, and an enveloping immersion room (both powered by g-speak for gestural responsiveness), plus a series of “Think Tank” meeting rooms featuring Mezzanine. With its multi-user, multi-modal, multi-surface, and multi-location computing capabilities, Mezzanine engages customers around multiple streams of content simultaneously to facilitate insightful conversations. The persistent ‘always on’ collaboration utility of Watson Workspace brings team members closer together and keeps projects at the team’s fingertips. And by integrating with Mezzanine, multiple streams of content can come together from multiple sources simultaneously for the most immersive and data-rich collaborative work sessions. Best of all: outputs from Mezzanine sessions can be dropped instantly into a Watson Workspace project. Why does this matter? It’s clear that businesses can’t pursue digital transformation without considering a transformation in the ways teams interact and share information together. With better business tools for collaborators you’ll find better business outcomes. We’re champions of a new user interface for computing environments, which serves most naturally the way humans operate in physical space. We believe there is an overdue revolution in UI, which perfectly complements the cognitive era that is upon us. Interested in experiencing first hand the power of a Mezzanine-enabled IBM Watson Workspace? Visit the IBM Collaboration booth #1732 at Enterprise Connect in Orlando, March 12-15, 2018.